As winter approaches and temperatures drop, it’s time for those of us with oil fired heating to make sure our oil tanks are full. But you need to make sure your delivery doesn’t cost you and the environment dearly. 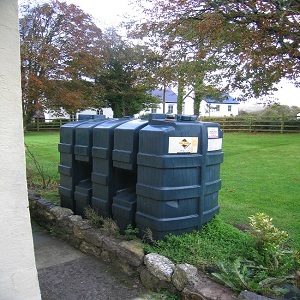 Make sure that your oil tank has no signs of leaks and that the delivery driver can access it safely. We recommend you check your oil tank before you place an order. This will help you protect the environment and reduce the risk of the disruption and costs of any clean-up. Go out and walk around your tank, look for possible problems; our regular checks guide will help. Try to be at home or on site for the delivery, so you can make sure your tank isn’t overfilled and you will be on hand to help if there’s a problem. ‘If heating oil is spilled it can cause serious problems, especially in soil and water. It can pollute rivers, harm wildlife and contaminate ground and drinking water. In addition, the costs of both the lost oil and of any clean up can mount up. Clean up costs can be large and are not always covered by household insurance policies.